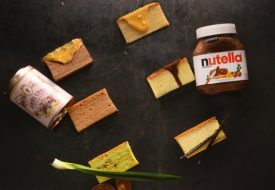 As the cheese tart craze slows to a glacier's pace, Japanese cheese tart chain Pablo has reignited the trend with news of its Wisma Atria outlet, to be unveiled in July. 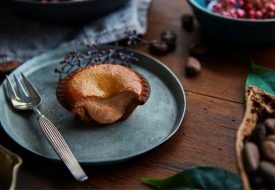 Taking over the space previously occupied by Omakase Burger, Pablo will offer molten cheese tarts in flavours like cheese, chocolate cheese, matcha cheese and creme brulee. 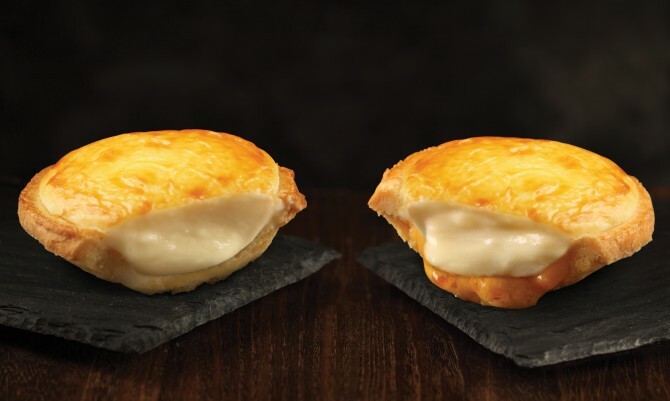 Pablo's cheese tarts (from $13 per piece) will measure 15 cm wide, noticeably larger than the other palm-sized renditions from its competitors. 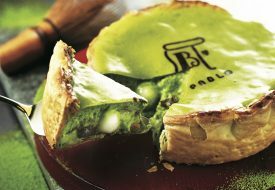 While customers are able to specify their degree of doneness in Japan, the Singapore outlet will only serve the medium version, which boasts a oozy custard-like cheese core encased in a buttery and flaky crust. Mini baked cheese tarts ($3.50) are also available in flavours such as chooclate, strawberry and matcha, alongside other cheesy treats like cheese-based soft serve and smoothies. PrimaDéli’s Lava Cheese Tart features delicious cheese fillings in a buttery shortcrust pastry. Keeping the options simple, the golden brown Lava Cheese Tart is presented in two flavours: Original ($2.40) and Salted Yolk ($2.80).